The festivities continue and my Christmas shopping is nearly complete. 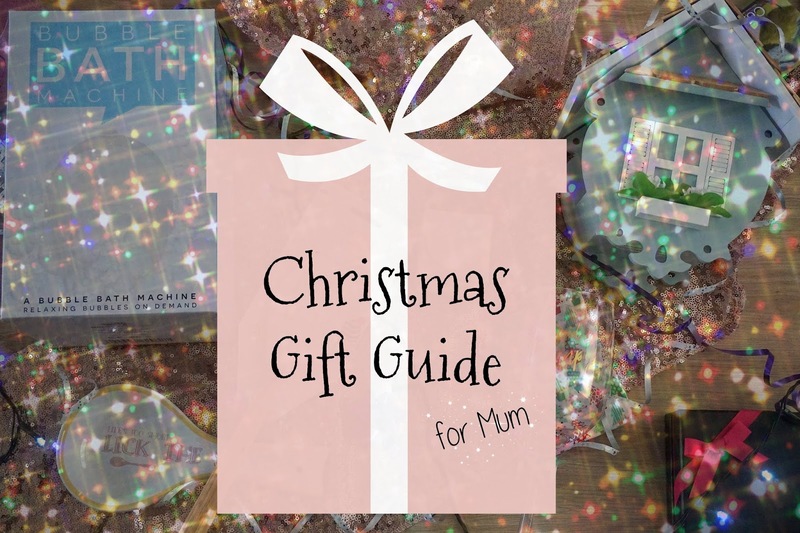 I shared my Gift Guide for Little Ones which was packed full of the most adorable personalised presents and today is all about the Mums. To be fair lots of these presents are suitable for her in general so if its a bestie, sister or even work colleague you might get some ideas here with gifts ranging from £3 up to £33. My first gift idea is for the Mums who love to bake and these gifts are super affordable. Matalan has some of the cutest kitchen items and baking accessories and this 'Life's too short lick the spoon' spoon rest and 'mix it up' silicone spatula are great as either stocking fillers or the basis for a little baking hamper. The spoon rest is £4 and the spatula was £3. Why not throw in a recipe book, some edible glitter and personalised apron inside a cute mixing bowl and you've created the perfect bundle. Aren't candles one of the best presents at Christmas time? This year Bloom Candles impressed me with their Christmas scents, in particular this super sweet Christmas Cookie Candle. £5.99 for a candle that burns for 30-35 hours is really good value. Bloom Candles have simple but cute packaging. If you're not looking for a stocking filler but want to spend a little more you can pick out a Christmas Bundle with wax pops for £12.99. How many Mums need a bit of Liquid Therapy in the form of a glass of wine by the weekend?! This simple little Liquid Therapy Wine Glass is just £5 from Matalan. Match this up with a cosy pair of slippers, a bottle of bubbly and a box of chocolates and you've got a girls night in package perfect for any lady! Or what about a girl night out kit with a bottle of wine, makeup palette and sparkly clutch bag? Whatever the budget this wine glass is a winner with Mums. I love this next one and I'm not even a gardening fan. If you're Mum has green fingers or is a bit of an animal lover then this Little Wren House Bird Feeder is a fantastic present for her. This is the most expensive present in my post at £33.99 but it's a beautiful, high quality, and slightly more unusual gift that's worth every penny. The house shape with cute details like the shuttered windows and flowers in the window box can be a focal item in any garden. Last, but quite possibly the best is the Bubble Bath Machine! What better way to have a relaxing bath than one that's full of cloud like bubbles? This quirky little present is £19.99 and would be brilliant with some face masks, a big bottle of bubble bath and chocolates for a pamper night. This is such a good idea for the workaholic Mums who need reminded to have a bit of me time. The fun of this gift can even be shared with babies, toddlers and kids!